Hi friends! 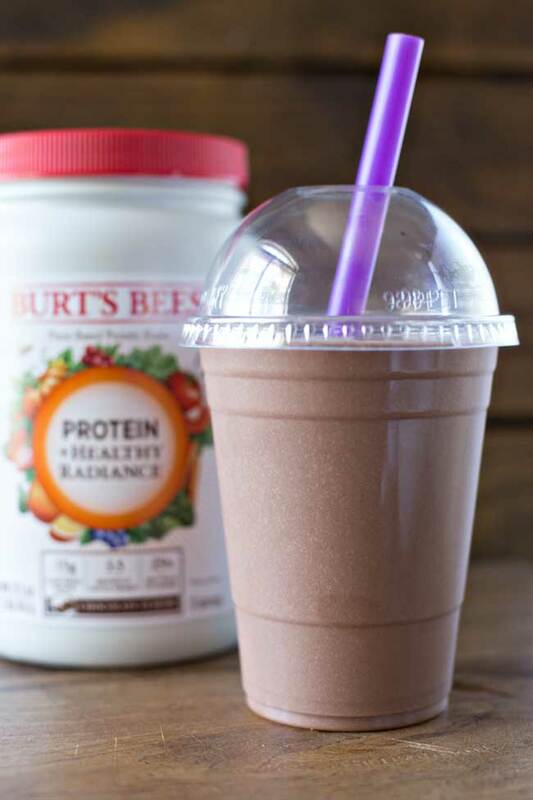 Last month we shared a delicious Tropical Cream Smoothie with you with NEW Burt’s Bees Protein shakes! 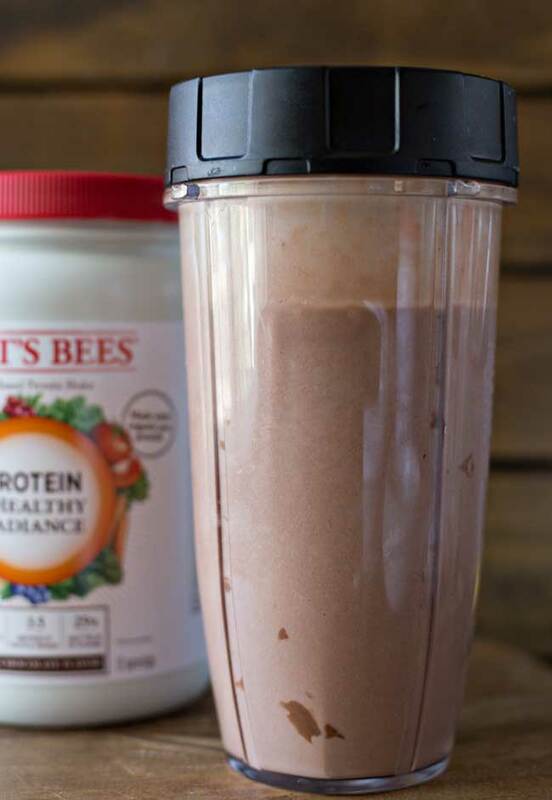 Now that we’ve had some time to enjoy the new line of Burt’s Bees™ Protein Shakes, we have a new delicious smoothie recipe for you to try, this Chocolate Hazelnut Smoothie! As we shared with you last month, Burt’s Bees™ Protein Shakes are formulated with 70% organic ingredients and plant-based protein, requiring fewer natural resources for production and having a less harmful impact on nature. 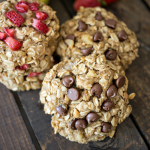 They are also non-GMO, gluten free, soy-free and dairy-free and made without artificial sweeteners or flavors. 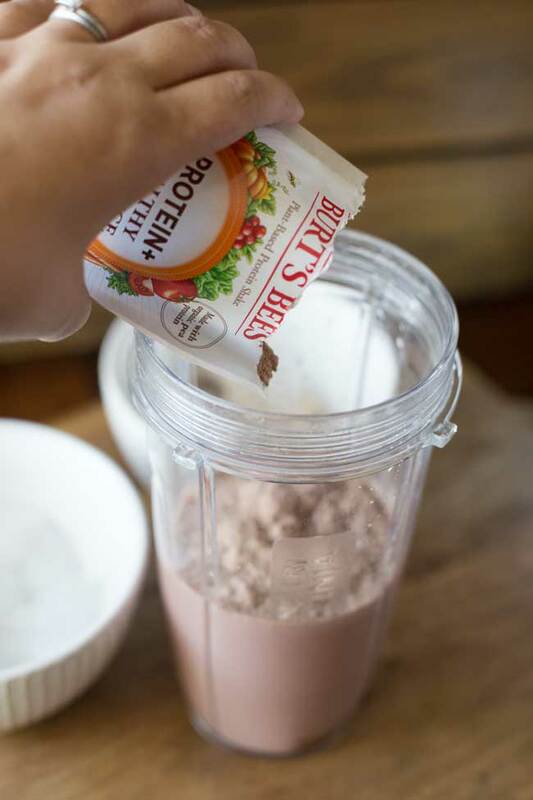 Each blend of the Burt’s Bees Protein Shakes include five protein sources: Pea, Rice, Flaxseed, Sunflower Seed and Oat, to achieve high digestibility and a complete essential amino acid profile. They also include 12 essential vitamins from real fruits and vegetables that provide between 10 – 25% of the recommended daily daily value of vitamins A, C, D, E, K, Thiamin, Riboflavin, Niacin, B6, Folate, Biotin and Pantothenic acid. 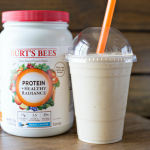 There are a few different Burt’s Bees Protein Shake blends to help you achieve the right balance of nutrition for your body and lifestyle. Burt’s Bees Daily Protein was crafted with the right mix of plant-based protein and vitamins from real fruits and vegetables to give your day a nutritional boost. 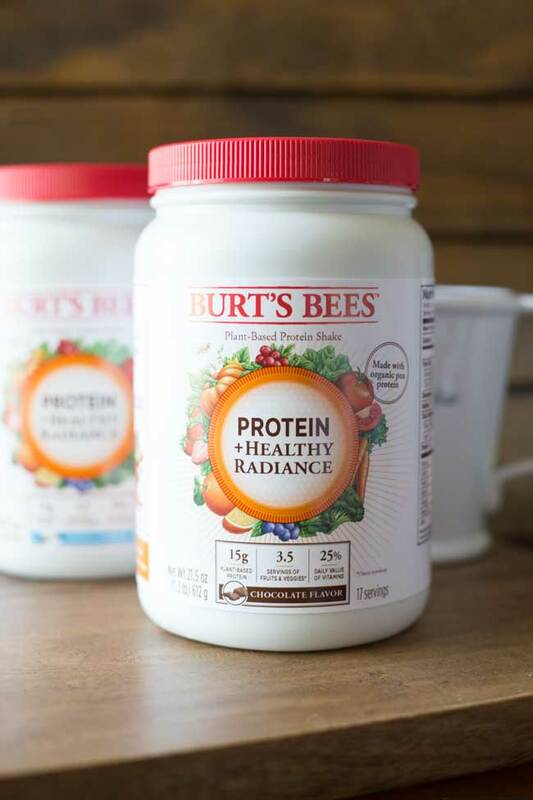 Burt’s Bees Protein +Healthy Radiance is enhanced with whole fruits and vegetables and antioxidant vitamins A, C & E for a healthy glow. And Burt’s Bees Protein +Gut Health is enhanced with whole fruits and vegetables, prebiotics and probiotics to help support digestive health as part of a balanced diet and healthy lifestyle. 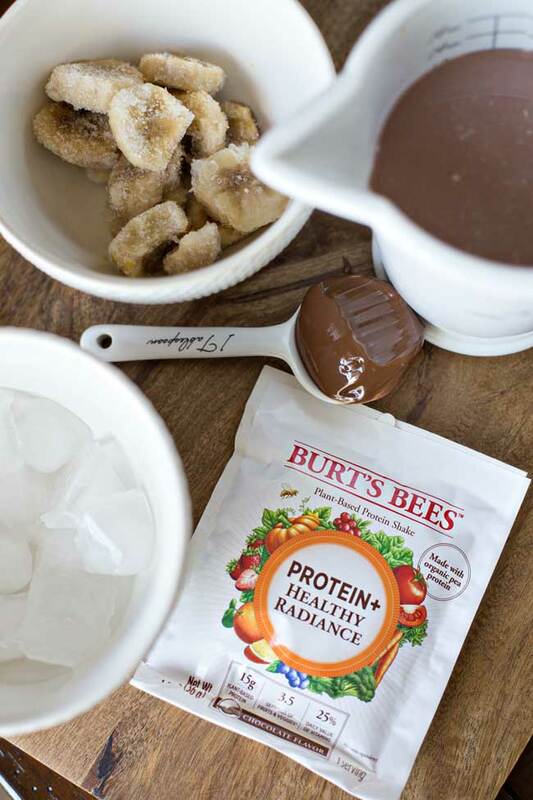 For our Chocolate Hazelnut recipe, we used Burt’s Bees Protein +Healthy Radiance – Chocolate Flavor! 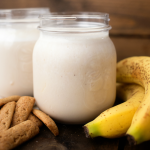 Just whip up a serving of the protein powder with chocolate almond milk, a ripe, frozen banana, a couple of tablespoons of hazelnut spread and ice and you’re ready to go! 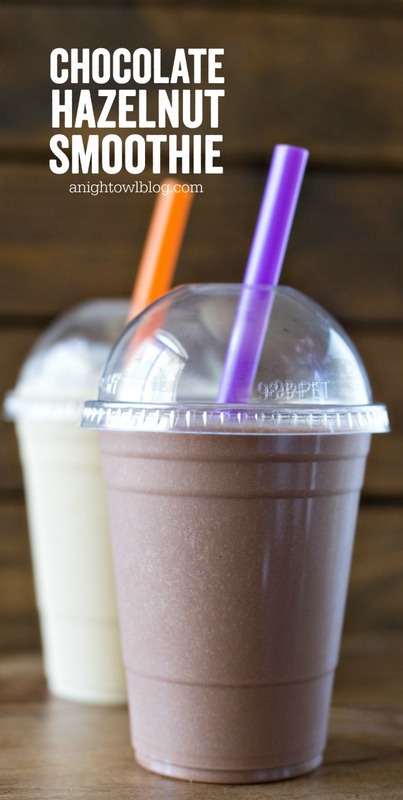 Once blended you have yourself one tasty, protein packed smoothie! 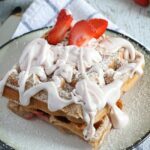 And let me tell you, this one is quite the treat! 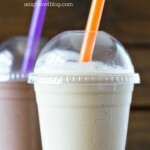 If you’re a chocolate hazelnut fan like I am, you’re going to want this smoothie on the regular! This looks amazing! I need to try this soon!